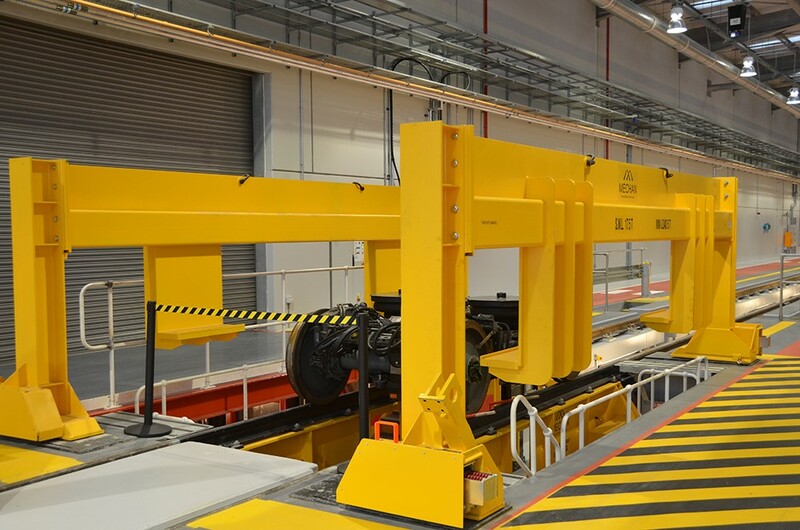 Commissioned by Siemens Rail Systems UK, the first two bogie drops were installed at the Hornsey depot in April 2014. Based in the London borough of Haringey, this three-road, 12-car maintenance facility will sit alongside the east coast mainline and is set to be completed in 2016. A further two bogie drops will be delivered to Crawley’s Three Bridges depot in September. This entirely new facility is larger than its counterpart in Haringey, containing five roads, split across two sites on either side of the London to Brighton mainline. We have supplied Siemens with five bogie drops in the past seven years, for depots in Southampton, Northampton, Manchester and Scotland. Throughout this period, we have collaborated with the firm to modify our design and it now includes a raised floor that covers the pit when the bogie has been removed, maximising workspace. In both locations, the bogie drops will be used to service the new Desiro City trains, entering service early in 2016. We have proved that our bogie drops are at the forefront of depot technology and that their build quality offers unrivalled reliability. Receiving such a significant new order from a valued repeat customer is hugely gratifying and we are pleased to be contributing to Thameslink, one of the most ambitious and comprehensive updates to the capital’s rail system in recent years.